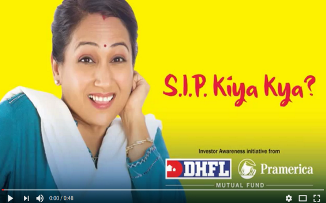 DHFL Pramerica MF, one of the leading new mutual fund houses has recently unveiled their digital campaign to reach out to young investors with a series of video and banner ads urging them to invest in a S.I.P (Systematic Investment Plan). 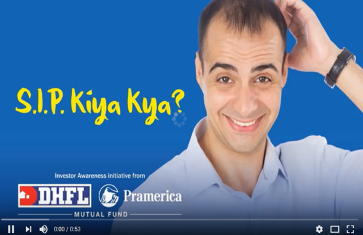 Developed in house by the marketing team, the campaign will be using social media extensively and has been kick started on Facebook and Youtube. The campaign has already managed to garner over 20 million video impressions till date and has seen very strong acceptance within the target audience. 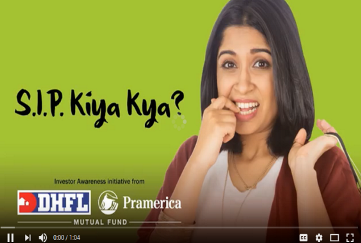 The MF industry has been recording healthy growth and S.I.P folios have been growing very aggressively. Data available with Sebi showed total inflows to equity mutual funds between April and November stood at Rs. 40,706 crore. Over half of the assets of these schemes are held by retail investors. There has been a rising interest in S.I.Ps among investors due to increasing awareness. Inflows to S.I.Ps now stand at Rs. 3,000-3,500 crore on a monthly basis compared with Rs. 2,500 crore a year earlier.